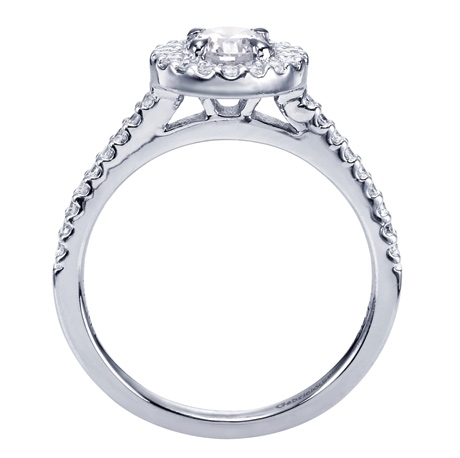 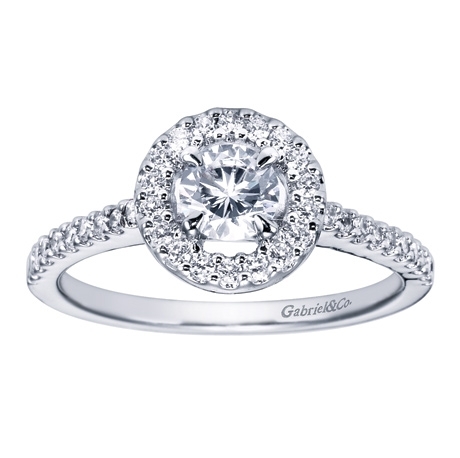 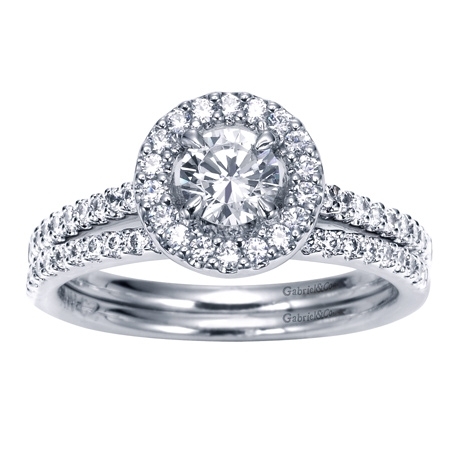 A straight band and an intricate halo give this contemporary halo engagement ring its signature appeal. 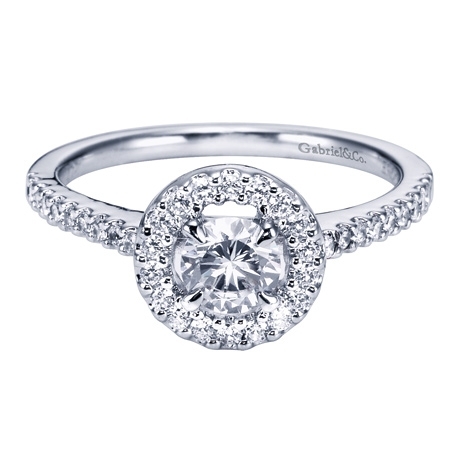 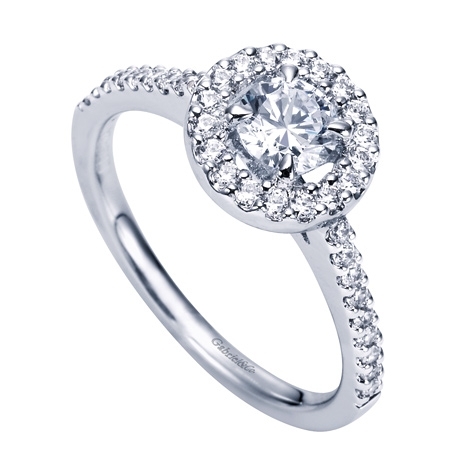 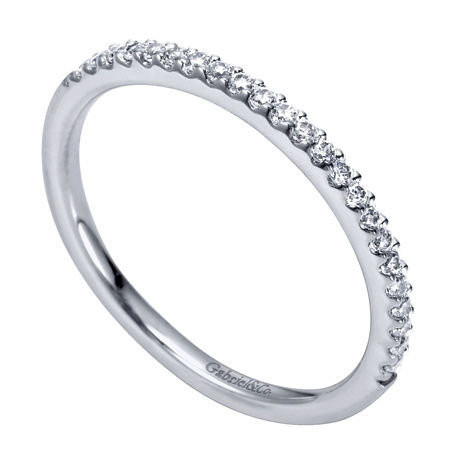 36 round brilliant cut diamonds give this ring its signature shine. A round center diamond sits pretty in the middle of one quarter carats of round brilliant diamond halo in white gold or platinum in this contemporary halo engagement ring.